Being a total noob in the world of wines, I make my decisions at the LCBO based on packaging and price. Though oodles of fun, it's not the best strategy. So reviews and recommendations play a big part in choosing wine that's easy on the wallet, and keeps my guests happy. 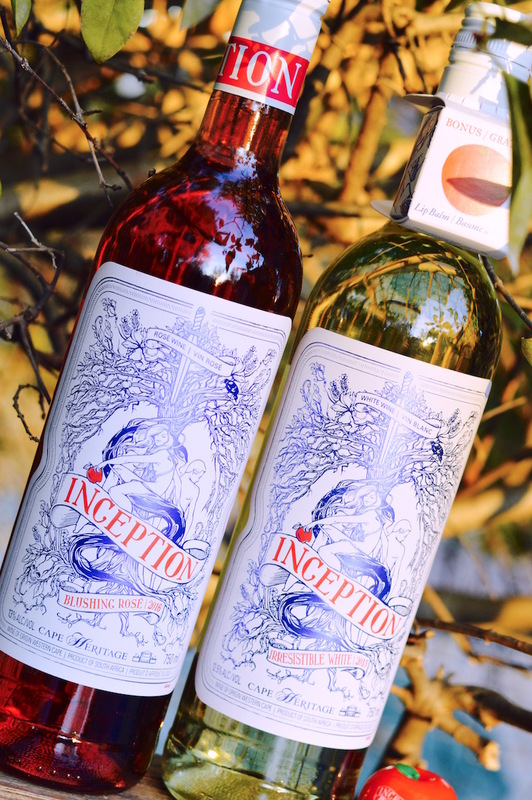 I was immediately intrigued by the unique label on these bottles of Inception wine. 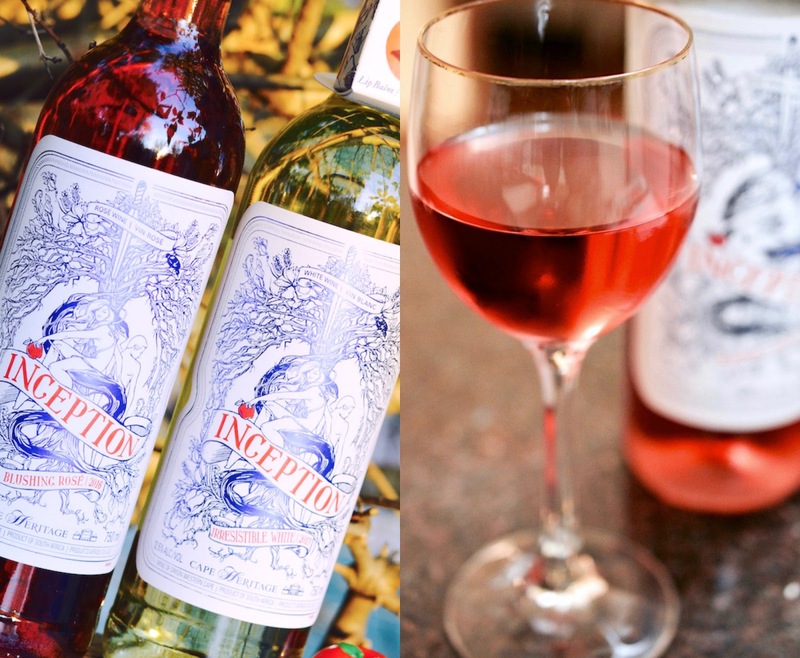 Hailing from Western Cape, South Africa, I knew that this rosé and white would be unlike anything I've tried before. Fresh and fruity this white is layered with stone fruit character. Pale straw with a green tinge in the glass; on the nose you will find peach and nectarine with white flower aromas; the palate is dry with soft acidity and flavours similar to the aromas found on the nose and a clean finish. Dry, 12.5%. I love this white wine, as it truly lives up to the description of "an explosion in subtlety". Refreshing and fruity, this youthful white pairs perfectly with cheese and crackers, asian dishes, chicken or Mediterranean cuisine. Highly recommend. Salmon pink with moderate aromas of cherry, and floral; the palate is medium-bodied and off-dry with low acid. 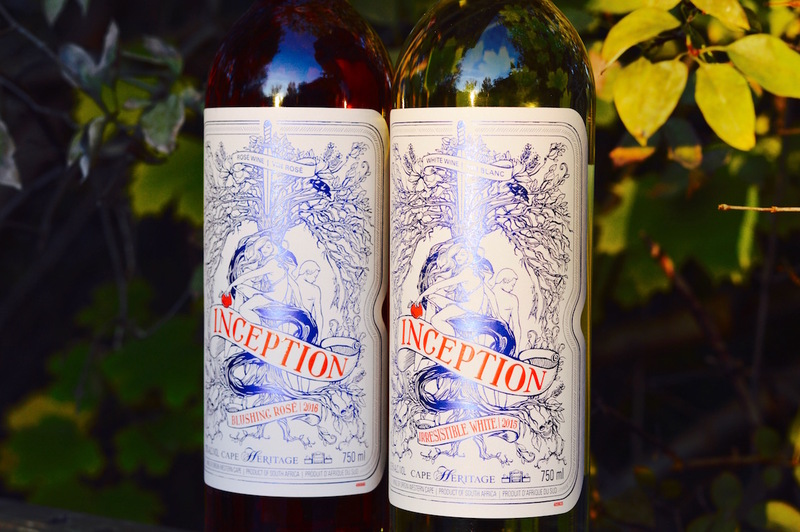 Look for flavours of candied red berries, vanilla, and a medium-length/fruity finish. Easy going and fruity. Dry, 12.0%. This rosé completely surprised me. $7.45?!?! Could it get any cheaper? I expected something bland and flavourless, but was floored at first sip. Deep pink and full of body, this rosé doesn't disappoint. It's easy to drink and "ignites conversation", as my dad liked to put it. Pair this bottle with smoked salmon, summer salad and vegetarian dishes. It's no surprise to anyone that I'm a (big) fan of freebies. When I saw that these bottles of wine came with a little apple shaped lip balm attached to the neck, I knew that they would be up my alley. 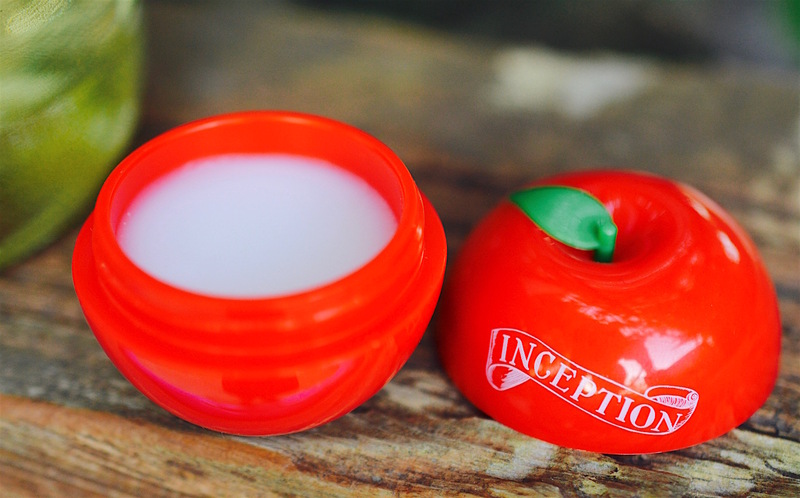 The balm is actually quite useful too, it has a light waxy texture and a soft aroma of crisp apple. 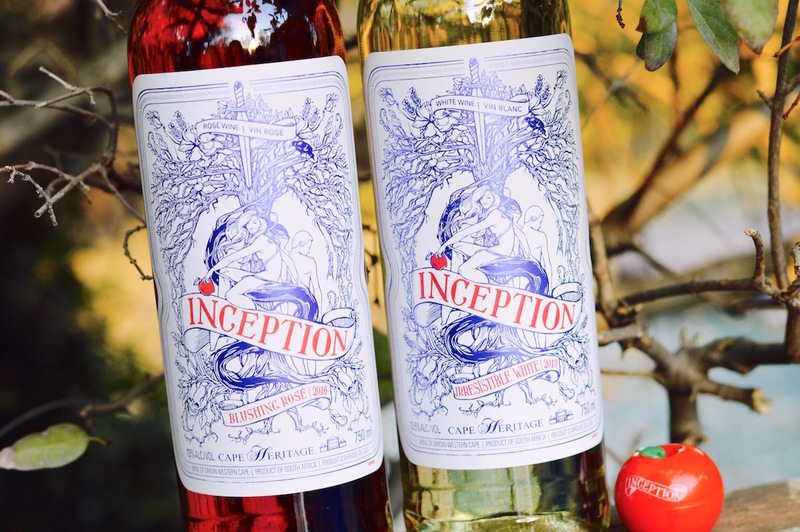 Inception wines are 10/10 in my books. Try these out if you're looking for iconic, affordable bottles that will be perfect for your night in, or evening out. You can also find their Deep Layered Red at the LCBO for $11.95, on sale now until the new year.